Since the end of World War II, Episcopal congregations in Europe have been involved with refugee resettlement issues. Now that a movement of peoples into Europe is underway, rivaling in numbers the refugee crisis of 1945-6, the churches of the Convocation are responding to the call. Our personal and corporate commitments to refugees were foremost on the agenda at our Paris convention. Before the Convention adjourned, delegates adopted a unanimous resolution resolving that 'the Convocation’s 'congregations engage in a period of renewed commitment to the call to welcome the stranger. Small parishes like All Saints', Waterloo, have initiated direct help to people living around and near their churches. 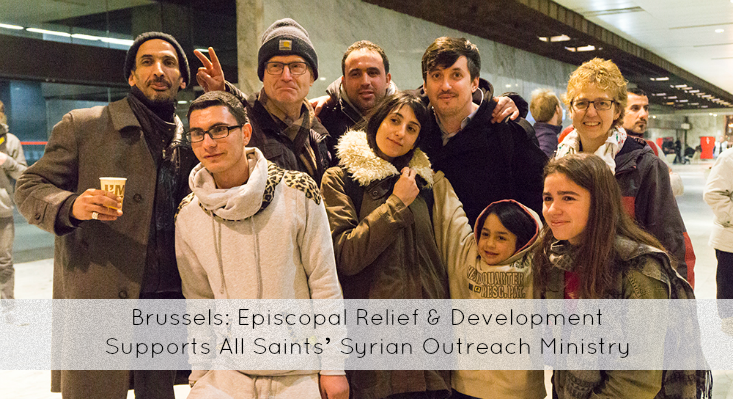 All Saints' parishioners are serving meals to refugees at the to the Brussels train station, nearby to the country’s only asylum processing center. Most of these refugees are living on the streets or in tents. 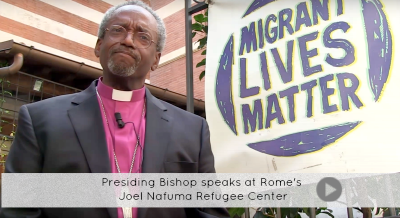 The church recently received a grant from Episcopal Relief and Development to help carry forward this ministry, which continues to grow as clergy and lay volunteers have expanded their ministry to serve a new influx of refugees arriving from South Sudan. In France, The Cathedral of the Holy Trinity in Paris and Christ Church, Clermont-Ferrand, have been deeply involved in the Calais “jungle”, bringing desperately-needed goods and funds working with local French non-profits, including purchasing and fitting out a mobile medical clinic for the camp. Grace Church, Montpellier, has raised funds for local efforts in partnership with the Roman Catholic archdiocese. Church of the Ascension, Munich, has worked closely with the Evangelical Lutheran Church in Bavaria and the Bavarian government to help refugees arriving in Germany. Munich is the only entry point, and the parish supports an asylum counseling center, offers direct aid to refugees in the local transit camp, and hosts a welcome center with their Lutheran partners. Episcopal Relief and Development awarded a grant to build a bicycle-loan program complete with a bike shelter and repair center. 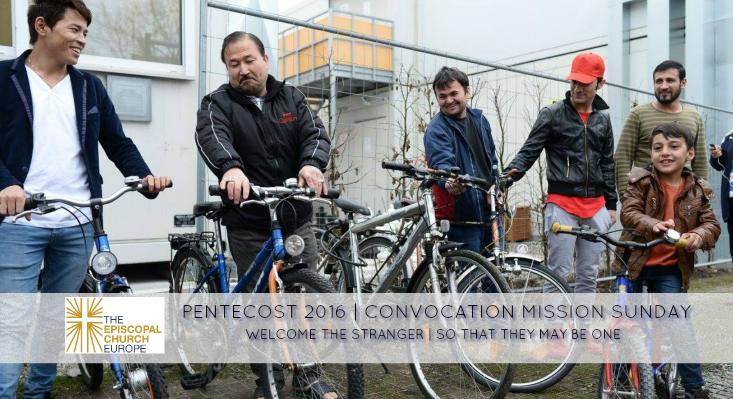 Elsewhere across Germany the other five congregations are working to help equip the resettlement centers located near their cities. St. Augustine of Canterbury, Wiesbaden is serving refugees and displaced persons in Hesse, many of whom are temporarily housed at the former the American Arms Hotel. 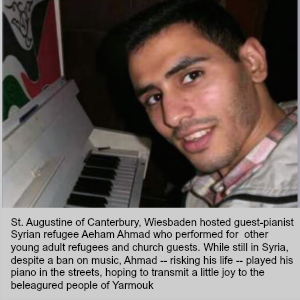 The church is organizing Music Nights, special outreach events for young adult refugees in area. 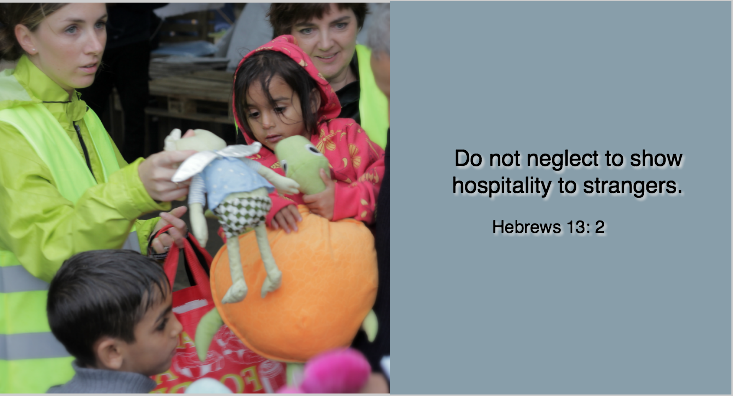 The congregation is also offering a ministry of hospitality, receiving the refugees at its weekly 'Kaffeeklatsch' and opening the church as a house of prayer and a place for quiet reflection. St. A's gives further of its treasures and talents in support of German language education for the new arrivals. 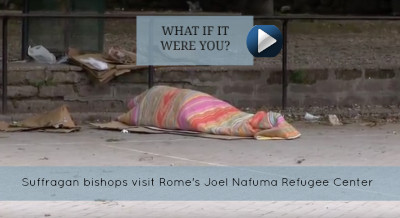 In Italy, besides a massive build-up for the Joel Nafuma Refugee Center at St. Paul’s Rome (the only daytime center in the whole city), the other five congregations are collecting food, clothing, and funds for local resettlement efforts. In Austria, Chapel of the Holy Family has been intimately involved in resettling five families in the town they serve. The mission field in Switzerland is very different than that experienced by our church in other countries. Emmanuel Church, Geneva, is supporting Convocation-wide refugee ministries, raising funds and goods for refugee resettlement.